About 30 minutes ago, I arrived with my parents in Western Kentucky to witness what has been called “The Great American Eclipse.” Hopkinsville, a city about 52 miles away, will experience totality, meaning the the eclipse will achieve 100% coverage for 2-3 minutes. In the little city in which we’re staying, we will have totality, but with fewer crowds (a relief!). Also, I’ve witnessed a handful of lunar eclipses in my day. Maybe even a vague memory of a partial solar eclipse (thought I’m not sure). So, this is a very fun experience that I’ll always remember. Nature is great! Finally, I’m strongly considering which direction my blog should take. For a long time, the niche was “happiness.” I directed my writing towards events and things that produced happiness in my life. However, since beginning the blog in April 2016, I’ve gone through many life changes. I’ve found that my blog now tends to gravitate towards my Catholic faith and the everyday life. If you have any suggestions, please comment below or message me. I want to take my writing more seriously and produce content that is beneficial for both my readers and myself. 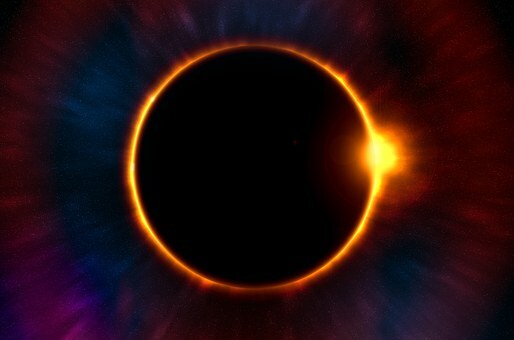 In the meantime, catch the eclipse (and don’t forget your special viewing glasses! ).